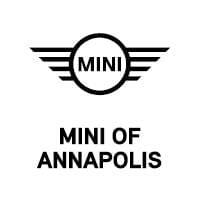 This outstanding example of a 2019 MINI Countryman Cooper S is offered by BMW of Annapolis. This MINI includes: STORAGE PACKAGE WHITE BONNET STRIPES SIGNATURE TRIM POWER TAILGATE TOUCHSCREEN NAVIGATION PACKAGE *Note - For third party subscriptions or services, please contact the dealer for more information. * Want more room? Want more style? This MINI Countryman is the vehicle for you. Everyone hates the gas pump. Skip a few gas stations with this super fuel efficient MINICountryman. This is about the time when you're saying it is too good to be true, and let us be the one's to tell you, it is absolutely true. We look forward to seeing you soon! Please call us for more information.